Journal writing is a powerful tool for reducing the effects of stress as well as anxiety and many other mental health conditions. It’s something that anyone can do with just a pen and paper to manage stress right away and over time. Stress is your mind and body’s reaction to something that upsets you or throws you off balance. The things that upset you are called “stressors.” Whether you experience a psychological stressor or an actual physical threat, your entire body reacts to it. Your adrenal glands secrete adrenaline and cortisol–stress hormones that suppress your immune system, raise your heart rate and blood pressure, tighten your muscles and dilate your pupils. This reaction to stress produces what biologists call your “fight-or-flight” state. Here, your muscles are prepared to take physical action and your brain is ready to make quick, emotional decisions. Your blood sugar, heart rate and blood pressure all increase to supply the body with quick energy, and your muscles tense up. As you can see, if the stress you’re experiencing is only mental and isn’t a physical threat in real time, then your body has gotten geared up for nothing. This surge of stress hormones, blood sugar and overall tension in the body will still result, however, because the body can’t tell the difference between a real threat and an imagined one. 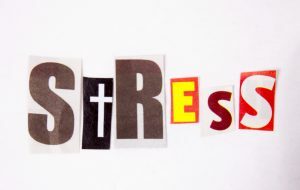 With so many stressors in modern life, getting rid of stress may seem impossible. The good news is, stress management isn’t about getting rid of stress. Stress is a natural response and there’s a reason you’re wired with it. Stress management is about how you respond to stress and its symptoms. One of the most noticeable symptoms of stress is the emotional state it puts you in. It can make you feel overwhelmed, disheartened, sad, frustrated and more. When you have all these emotions swarming around, writing about them makes all the difference. Writing lets you express and process your thoughts and feelings. For example, writing about a stressful event that occurred helps you come to terms with it and release some of the tension from the experience. Also, writing about anger, sadness and other painful emotions helps release the intensity of them. Writing about problems you’re experiencing can even help you gain clarity and find solutions. The creative act of writing itself activates your right brain hemisphere, which deals with reflection and a holistic perspective. When you feel overwhelmed or stressed, take out a notebook or journal and write down exactly what’s stressing you out. When you write about the stress you feel, you can identify your stressors. Once they’re identified, you can create solutions for them. Sometimes, an obvious solution will come into focus that you didn’t see before. Other times, responding to stress involves rethinking your habits, thoughts and beliefs, and making changes in your life — changes that can prevent the stressors from manifesting as frequently, as intensely or even at all. Once you’ve designated a journal for stress management, write in it regularly. Once a day, make a list of everything that’s irritating, worrying or stressing you. You should feel some instant relief when you do this, like a burden has been lifted. Now, you know what needs to change for you to feel better. Some of it will be in your control and some of it may not be. That’s part of responding to stress–realizing what’s not in your domain and focusing on what you do have power over. 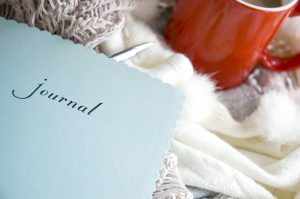 Using a journal to manage stress trains your mind to start noticing your stressors and seeing them as stressors you can respond to, rather than real threats. In fact, writing itself will become an effective, habitual response to stress if you stick to journal writing.